In recent years, many dentists have turned to dental implants in lieu of natural tooth restorations.  Many dentists and patients favor the extraction of the damaged tooth and the use of a dental implant in cases where an alternative therapy would have been previously recommended. While implants are a reliable way to restore missing or severely damaged teeth, many dental worries can be solved with more traditional procedures that are designed to protect your natural teeth. Why Should You Save Natural Teeth? Even with improvements in the appearance and functionality of dental implants, an implant will not match the look, feel, and function of a natural tooth. While many dentists lean on dental implants as a fix-all solution, there are ways to preserve and restore your natural teeth so that costly implants are not always required. Even patients with severely compromised teeth can experience the confidence-enhancing restoration of their natural teeth. Candidates for these procedures show signs of moderate to severe tooth decay with a diagnosis that will not negatively affect the surrounding healthy teeth. Endodontic therapy is a procedure that saves decayed or damaged teeth. This procedure is the most common approach to treating teeth that have inflammation or an infection in the tooth root. Here, the decay and the pulp of the tooth is removed, and the root canals are cleaned, disinfected, and shaped before the root is sealed. Teeth are covered with a crown for additional protection, function, and aesthetic appeal. Crown lengthening is the process of reshaping or recontouring the tissue and bone around the tooth. This allows for the better fit of a crown or restoration and provides additional stability so that all restorations of natural teeth are more reliable and longer lasting. Osseous surgery is designed to rid your mouth of damaging bacteria and tartar that cause pockets to form between the teeth. These pockets allow for the growth and spread of bacteria, leading to further tooth decay. Pocket reduction surgery trims away infected gum tissue and reshapes the bone so that the pockets are reduced and bacteria are removed. Your jawbone can deteriorate just like a tooth can. This can lead to an unstable base for tooth restoration. Bone grafting or bone regeneration may be used to strengthen the connection between the bone and the tooth root for increased stability and structure. Should dental implants ever be used? While we want to preserve as many of your natural teeth as possible, there are some instances where the natural tooth is too damaged to save and tooth extraction is the only option. In these situations, dental implants can provide the look and functionality of a natural tooth. How can I help to preserve my natural teeth? Preserving your natural teeth begins with proper oral hygiene. You should brush your teeth twice a day for at least two minutes at a time. You should also floss at least once a day. In addition to at-home care, routine visits to your dentist are vital to the health and maintenance of your natural teeth. Are these procedures as reliable and long lasting as dental implants? Dental implants will last for many years as long as they are properly maintained. Treatments that save your natural teeth are much the same. These procedures restore health, functionality, and aesthetics that will last for years as long as they are adequately cared for. Unfortunately, this is not always a cut-and-dry situation. In most cases, teeth-saving treatments such as root canal therapy, crown lengthening, pocket reduction surgery, and bone grafting are cheaper than dental implants. Before any procedure, check with your insurance provider to see what may be covered.